PILATES is a mind-body method of movement that refreshes your physical and mental well-being. It offers mental benefits such as reducing stress and improving mental focus, and the physical benefits are the biggest draw. Pilates flows through a series of movements that are dynamic, systematic and anatomically-based, and can be performed on a mat or on specialized equipment pieces. In addition to a large variety in small equipment pieces, Create Balance has 10 Professional Reformers, 5 Stability Chairs, 2 Vertical Frames, and 5 Spring Walls. This method of exercise focuses on control and precise movement patterns and helps both men and women develop core strength, joint stability, and a leaner appearance. It heightens your body awareness as the mind engages the body, and incorporates controlled breathing with movement. Pilates helps you achieve inner awareness and calm, along with a sense of mastering the mind and body. The PILATES method of exercise was first developed in the 1920s by the legendary physical trainer, Joseph Pilates. Create Balance offers STOTT PILATES®, the driving force and credible authority in the industry. Along with a team of physical therapists, sports medicine and fitness professionals, they have spent more than two decades refining the STOTT PILATES method of exercise and equipment. This has resulted in the inclusion of modern principles of exercise science and spinal rehabilitation, making it one of the safest and effective methods available. They stay ahead of the curve and are continually evolving to remain contemporary and relevant. In the STOTT PILATES method, the five basic principles are used to help ensure the movements are being done effectively. The goal with STOTT PILATES is to achieve optimal functional fitness. It strengthens the weak and challenges the strong, and is ideal for everyone. Pilates improves the way your body functions, looks and feels. It helps condition the body without punishing it. 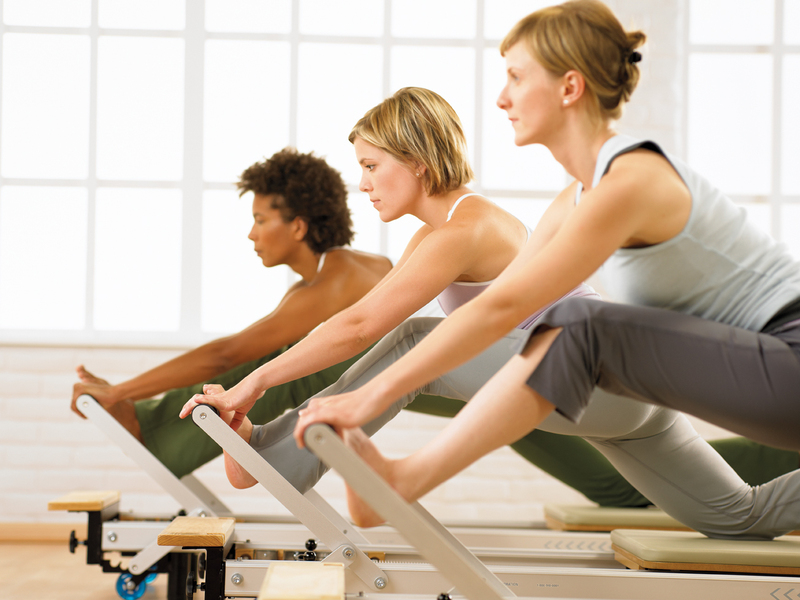 Pilates teaches balance and control of the body, and that capacity spills over into other areas of one’s life.